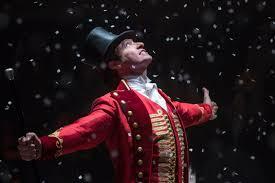 Orange Spain has reached an agreement with 20th Century Fox Home Entertainment to enhance its VoD service with up to 100 new titles, including a number of recent releases such as Ferdinand and The Greatest Showman as well as classic hits from the studio such as Alien and Ice Age. With this deal, Orange’s VoD service Videoclub now has over 900 titles available from different studios such as Sony Pictures Television, Warner Bros Pictures, Universal Studios, Paramount Pictures and Walt Disney Pictures. Meanwhile, Amazon Prime Video service has reached an agreement with Tele Cinco Cinema to offer its cinema catalogue to its subscribers, with includes titles such as Lo imposible, 8 apellidos Vascos, El Laberinto del Fauno and Alatriste.